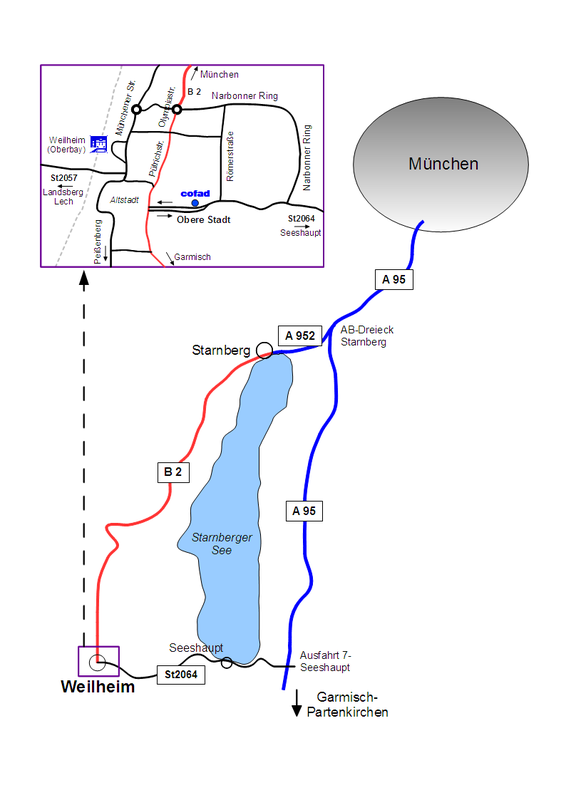 From Munich take the A95 in the direction of "Garmisch"
After 600 m you will find our office on the right side. Total distance from Munich is about 50 km. Nearest train station is Weilheim (Oberbayern).